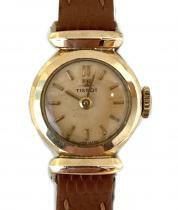 Watch Description: 18ct Gold Round Case with Silver Guillochet Dial Arabic Gold 12 and 6 o-clock hour markers, date pointer hand and subsidiary seconds dial at 9 o-clock. 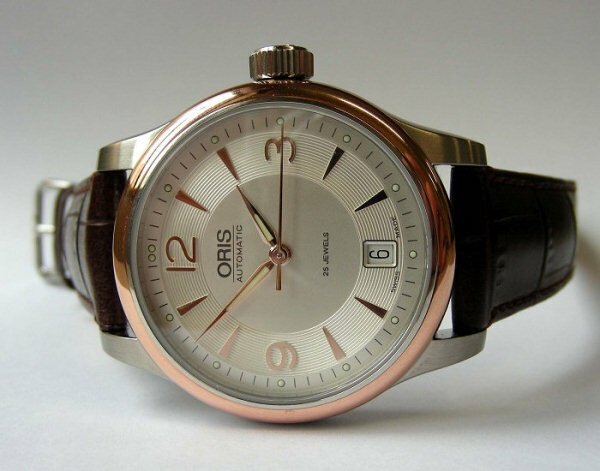 Brown Alligator strap. 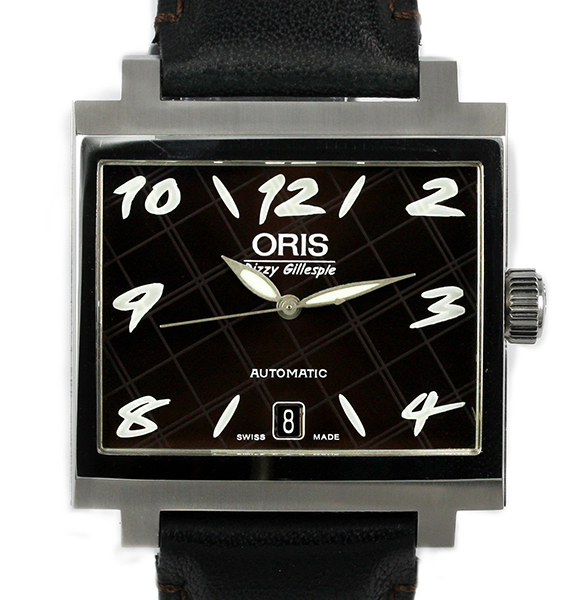 Watch Description: Steel rectangular case with curved sapphire crystal, plaid pattern brown dial with luminous Arabic numbers, case back engraved "Dizzy Gillespie" Limited edition of 1917 pieces. 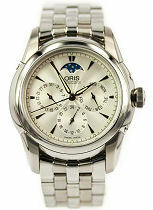 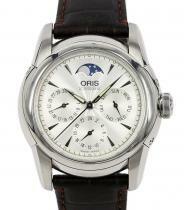 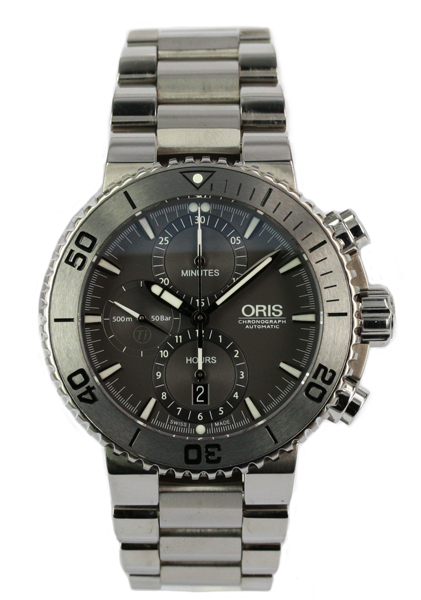 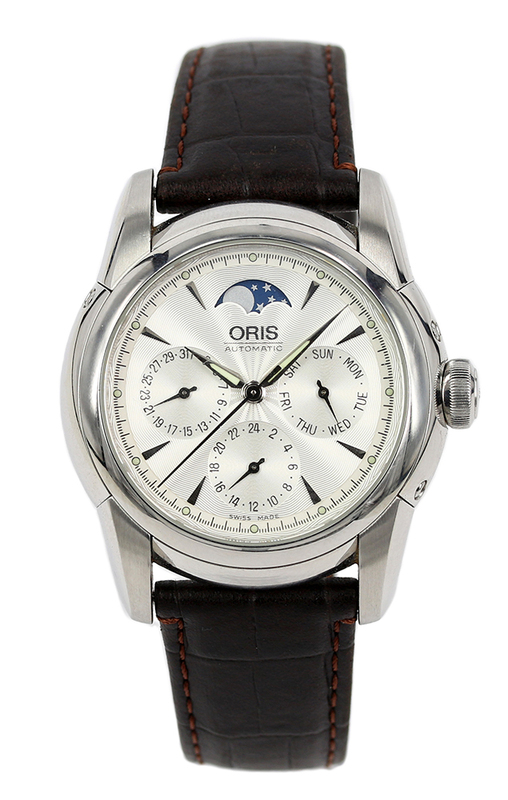 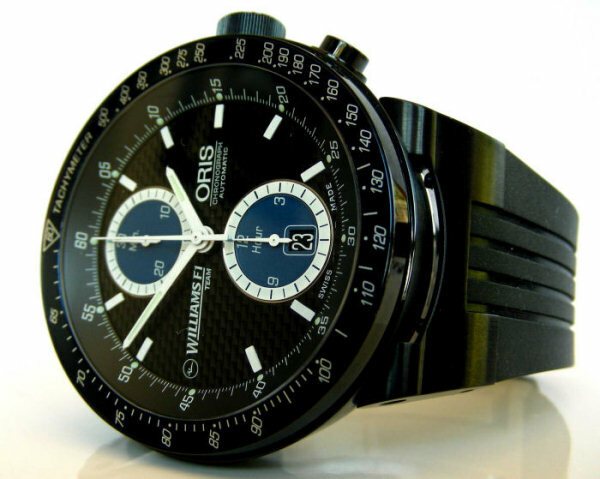 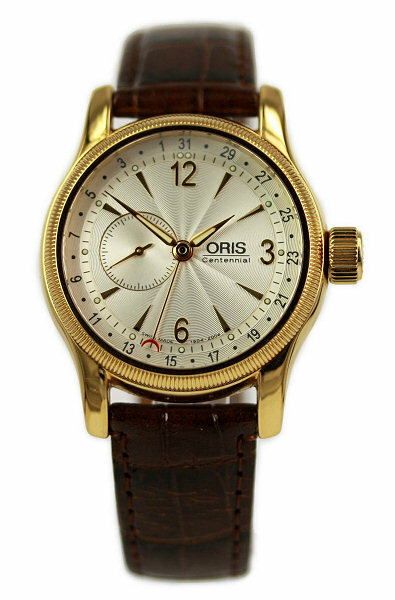 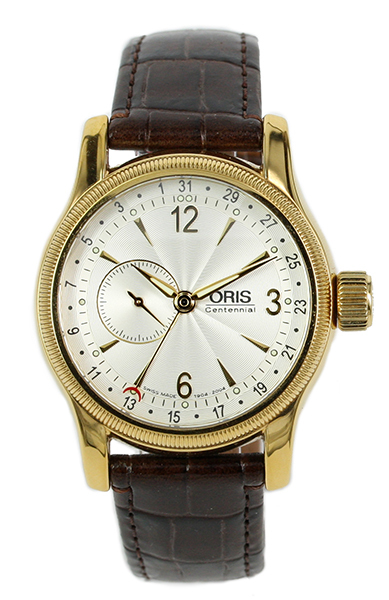 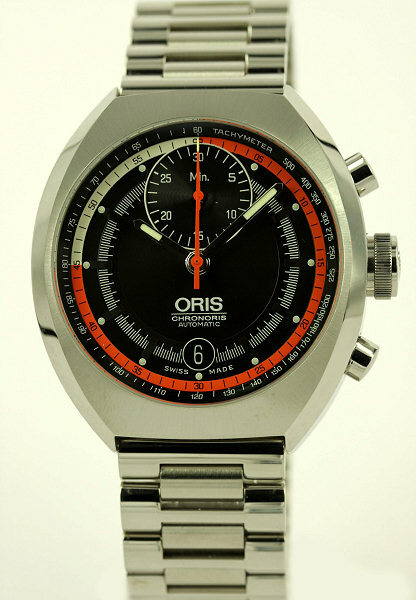 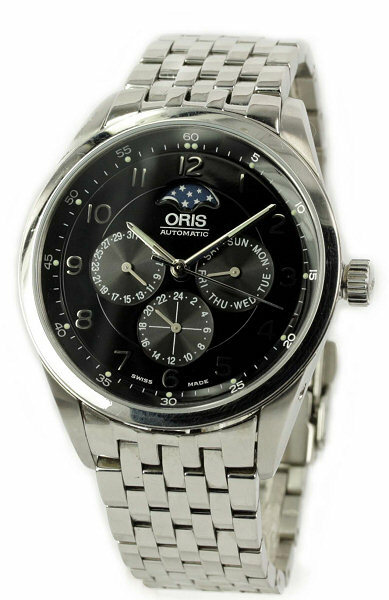 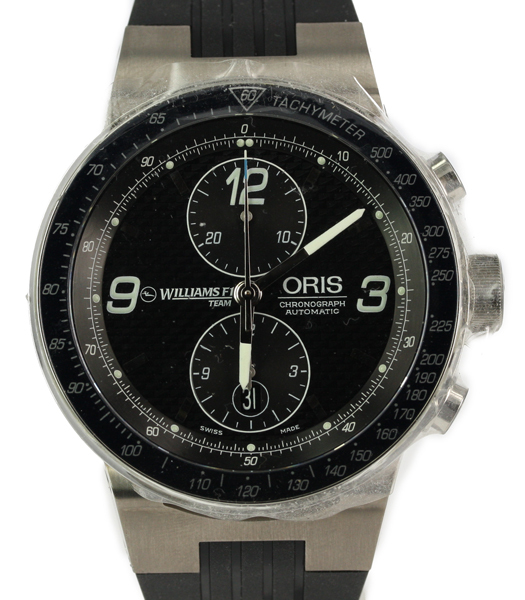 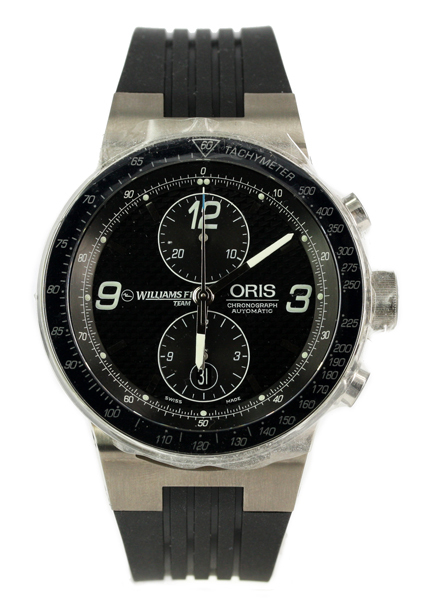 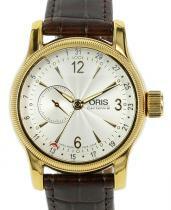 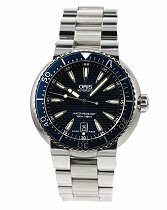 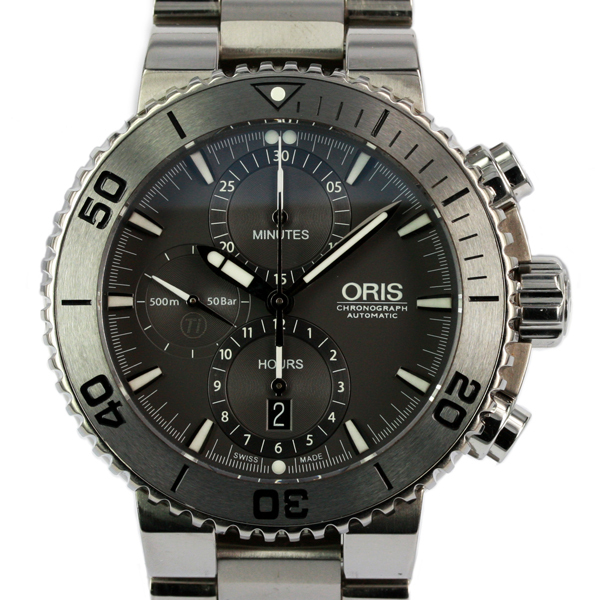 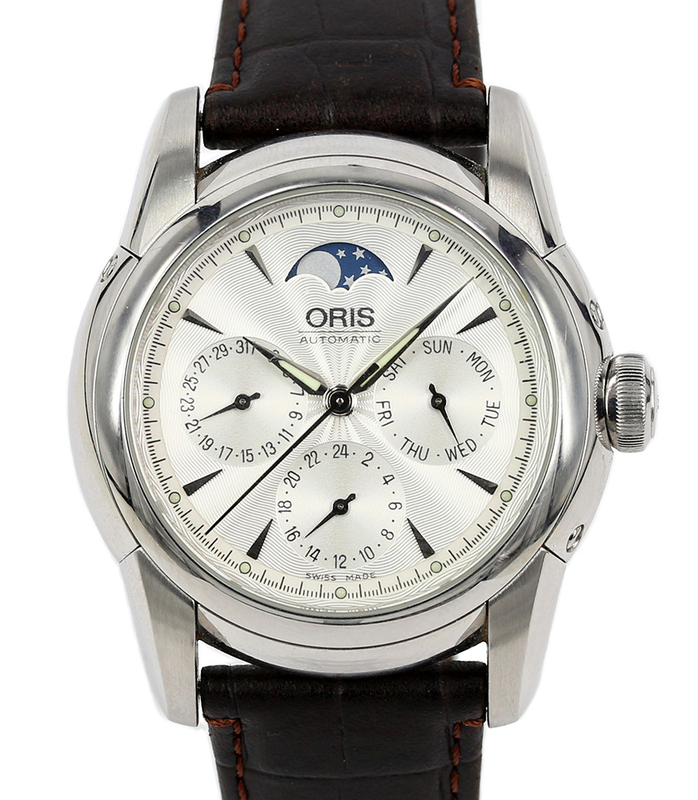 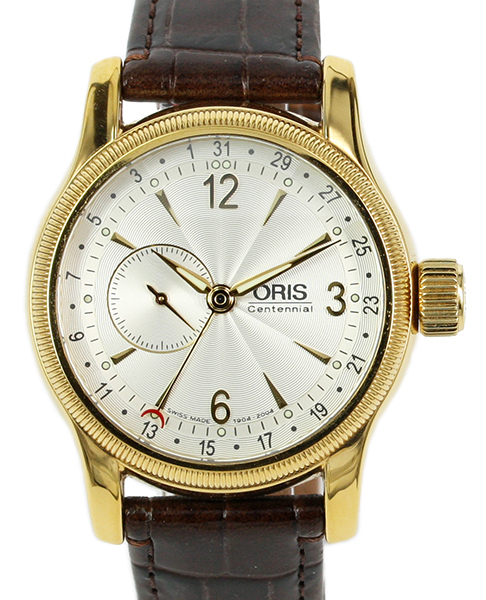 Fitted with Oris leather strap and steel Tang clasp. 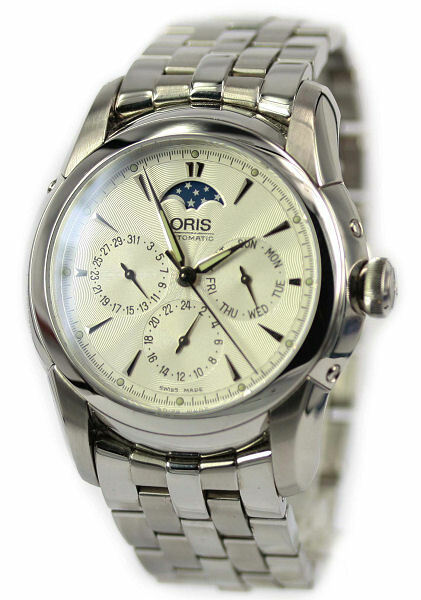 Watch Description: Moon Phase indicator window. 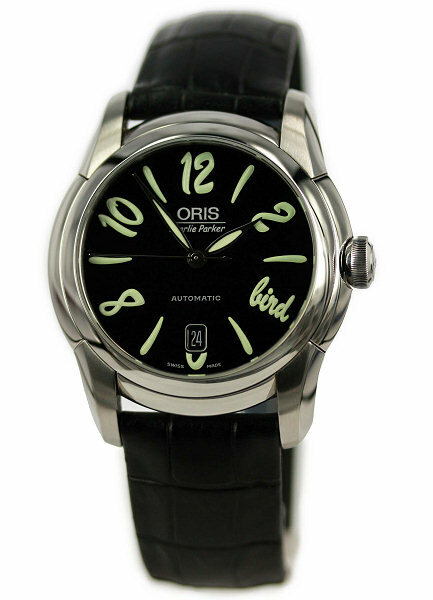 Pointer hand Date display. 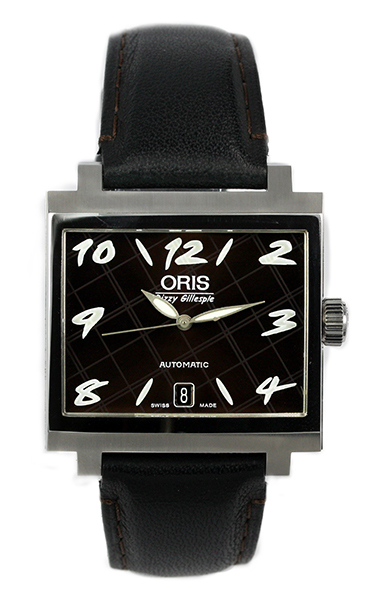 24 hour format ( military ) hand. Pointer hand Day display.